Originally from Rockford, Illinois, Deb Karash now lives in the mountains of Western North Carolina. Her studio is located in the beautiful and popular city of Asheville. 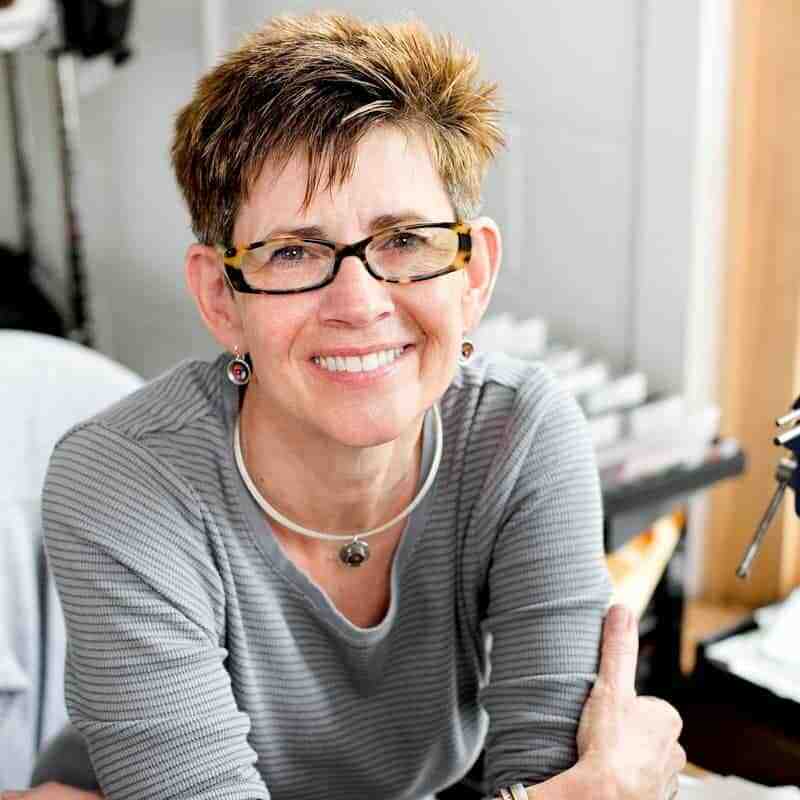 A full time studio jeweler, Deb sells her work at fine craft shows and galleries across the country and teaches workshops around the world and in her studio. She holds a Master of Arts degree from Northern Illinois University. When not working she and her partner, David, love to travel, hike, and work on their home. Join Deb Karash on her first visit to England to teach in April 2019 at CSACJ. Deb Karash is visiting the UK in April 2019 to teach a master class in Cornwall, South West England. This will be her first visit to the UK to teach. Below you can see the class she will be teaching at CSACJ. This class is suitable for complete beginners to jewellery making. 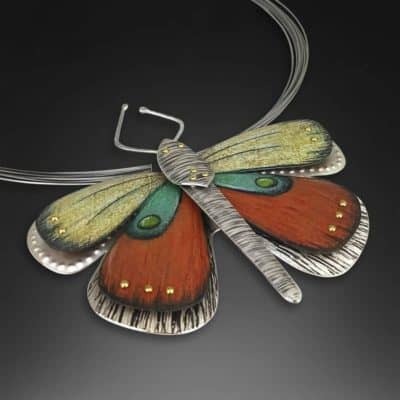 The class will teach traditional metal working techniques and the colour technique can be applied to silver, copper or brass. Check the class page for more information about what the class will cover. The price of the class does not include materials. The materials required are listed on the course page. We’re really excited to have Deb coming to the UK to teach. If you’d like to ensure a place on this course, please book early to avoid disappointment. This adding colour class is open to all levels.